STEWART, PETER, judge and politician; b. 1725 in Campbeltown, Scotland; d. 10 Oct. 1805 in Charlottetown, P.E.I. Peter Stewart was a younger son of the Reverend Charles Stuart and Annabella Campbell, daughter of John Campbell of Kildalloig, chamberlain of Kintyre. His father was the Church of Scotland minister at Campbeltown from 1709 to 1765. Peter was apprenticed to an Edinburgh lawyer, served for some years as a law clerk in that city, and subsequently engaged in an unsuccessful fishing business in his native village. In 1758 he married Helen MacKinnon, and they had several children, including John* and Charles of Island fame. Left a widower about 1770, Stewart married Sarah Hamilton, daughter of a Captain Hamilton of Drummond and first cousin to Ralph Abercromby, later a distinguished British general. The precise number of Stewart’s children is not known. Family interest in St John’s (Prince Edward) Island began in 1770, when Peter’s brother Robert undertook a settlement of Highlanders on Lot 18. The venture was not very successful, but the attempt gave Robert some influence with other proprietors and the British government, which he used – with the assistance of Scotland’s lord advocate, James William Montgomery – to secure the chief justiceship for his struggling brother in 1775. Paying a salary of only £200 per annum out of the uncollected quitrents of the Island, the appointment was hardly a plum and had gone begging for some time after the death in penury of John Duport in 1774. But Peter lacked proper qualifications for any judicial appointment and could not afford to be selective; moreover, what legal training he had was in Scottish law rather than the English common law that Whitehall always expected to serve as the basis for a colonial judicial system. Since he was already the father of nine children, his principal recommendation for the position was financial need. Taking up his new opportunity with alacrity, Stewart offered to arrange the transportation of emigrants for Montgomery, and negotiated with Montgomery’s partner David Higgins* to lease a large farm on Lot 34. Full of enthusiasm in June 1775, the new chief justice expected no problem in acquiring tenants, “from the passion the Lower Sort of People here have for emigrating.” But the accounts of the beginning of the American rebellion – and of hard times on the Island – slowly trickled into Scotland and alarmed prospective emigrants. Stewart himself had second thoughts about a hasty departure into the unknown, claiming he required more time to organize his party. Montgomery, however, refused to encourage delay, believing that, having been made chief justice, Stewart should take up the appointment. Thus Stewart’s little group (his wife, two sons, three daughters, and four servants) caught passage at Cork aboard the vessel Elizabeth, which set sail for the Island on 10 Sept. 1775. The autumn voyage was a rough one, but otherwise uneventful. The vessel avoided Yankee privateers, and the only violence experienced was a fight between another gentleman’s servant and Jack Stewart in which the youngster was badly cut. His father was extremely upset, and, reported fellow-passenger Thomas Curtis, “If we had got in safe that night as expected I cant gues the consequence as the Judge seemd a Pasionate man.” Instead, the vessel hove to off the north coast of the Island for several days, eventually becoming grounded and breaking up on an uninhabited sand-bar. All passengers were saved but, despite the efforts of George Hardy and others, most of the baggage and freight was lost. The chief justice thus spent his first 16 nights on the Island in a hastily erected wigwam, and was now without almost all his personal effects including books, clothes, furniture, and provisions. It was not an auspicious beginning for a career in the colonies. When Stewart finally made his way to Charlottetown in early December 1775, he found little to encourage him. The town had just been pillaged by privateers and the leading government officials, Phillips Callbeck* and Thomas Wright, carried off to Massachusetts. Stewart would later complain that his supposedly improved farm on Lot 34 contained nothing but “a small Hovel not in any respect habitable,” and that this solitary building, more than seven miles from Charlottetown, was accessible only by water. Application to London for relief from his losses and for a dwelling-house in the town at public expense was to take some years to produce results. Because of wartime isolation Stewart did not receive his commission as chief justice until July 1776, and, like other officers of the government, he collected no salary until the Island’s establishment was put on parliamentary grant in 1777. Nevertheless, like his colleagues, he had to maintain a certain standard of living. Despite his reservations about Lot 34 he attempted to settle it with tenants, and he engaged in some private trading. Throughout the war Stewart lived off credit and the hope that his official position might be turned to advantage in more ways than obtaining numerous public appointments for his sons. The first real opportunity for the chief justice came in 1779–80, when acting governor Thomas Desbrisay employed the absence of Governor Walter Patterson* to distribute wholesale to himself and his associates the crown lots in Charlottetown that had not yet been granted to settlers. Many lots were awarded to garrison soldiers, who sold them for a pittance, while others were given directly to councillors on the strength of their large families. Stewart, whose daughter had married young Theophilus DesBrisay*, ended up in possession of 41 town lots and 41 pasture lots, a total exceeded only by the acquisitions of the acting governor himself. Upon his return in the summer of 1780, an enraged Patterson demanded that the lots be handed back. Along with his associates, Stewart refused to comply unless directly ordered to by the home authorities, and Desbrisay wrote to London attempting to explain away the whole sorry business. It was to be three years before the issue was resolved, and then in Patterson’s favour, but the governor’s attitude would ultimately back-fire upon him. Meanwhile, the land question came to the fore in an even more serious fashion. On 26 Nov. 1780 a Council meeting, attended by Stewart, agreed unanimously to implement a Treasury minute of 7 Aug. 1776 ordering the Island’s receiver general to enforce the payment of quitrents on many of the township lots into which the island had been divided in 1767. The lots of those in arrears were not to be sold until the end of June 1781, and in the mean time advertisements were to be placed three times in the London Gazette warning proprietors in Britain that the consequences of non-payment would be distraint or sale of the lots. It is not clear how the Council – given the communications of the time – expected to follow such a timetable, which allowed only seven months for a complicated series of warnings to be received and acted upon. Nor is Stewart’s relationship to subsequent government actions easily understood. When the Privy Council in 1789 conducted an inquiry into the land sales, Stewart submitted a memorial in which he attempted to dissociate himself from the events that had led to Patterson’s dismissal. He denied that he had supported the Council’s action of 26 Nov. 1780, or its decision of 19 Feb. 1781 to eliminate a critical clause of the Quit Rent Act of 1774 by dispensing with the necessity of distraint; he insisted that on the latter occasion he had advised the governor to have the clause repealed by the House of Assembly instead of in Council. The chief justice argued that, once Patterson had ordered the receiver general of quitrents to institute proceedings against the delinquent lots in the Supreme Court, he had acted to pass judgement against them only in the absence of any defence on the part of the proprietors, and that he could not have interfered in the judicial proceedings. (In 1783, however, he had acknowledged to Montgomery that he viewed the foundations of those proceedings as legally dubious.) He maintained that, when the lots were eventually put up for sale in November 1781, he had bid, successfully, on half of Lot 18 only because, holding the other half of the township, ‘he sought to prevent the part up for sale from getting into the hands of others. (Nevertheless, testimony from Callbeck in 1784 indicated that he had also bid heavily for Lot 35 and was unsuccessful in acquiring it only because he would not pay the price.) Stewart further claimed that, after landowners in Britain had persuaded the imperial authorities of the impropriety of the sales, he was one of four members out of ten at the Council meeting of 20 March 1784 who voted to obey the royal order to place legislation rescinding the sales before the assembly, but that his dissent from the majority had not been entered on the record. Despite his later denials, Stewart had undoubtedly tacitly supported Patterson and his friends in the initial proceedings against the proprietors in 1780 and 1781. But by 1784 he had plainly broken with Patterson and was entitled to plead innocence in the governor’s subsequent defiance of Whitehall. Two provocations by Patterson account for Stewart’s shift. One dated back to the Charlottetown lot business. In early 1783 Patterson had read to the Council a letter from the lords of Trade (dated 20 June 1781) opining that the Charlottetown lot transactions were most improper, and sufficient to justify dismissal for Desbrisay and censure for the others involved, including Stewart. Patterson thereupon proceeded in a self-righteous manner to force return of the lots – although he himself was then holding eight and a half 20,000-acre lots, some of which had been purchased through dummies at the 1781 auction. The inconsistency of Patterson and the embarrassment of having abjectly to restore the lots might be enough for any “passionate man,” but about the same time Patterson had “compromised” Stewart’s wife, Sarah. Exactly what the governor and Mrs Stewart had done was never made clear, but the chief justice banished her from his house and Patterson removed her to Quebec at his expense. As might have been expected, the Stewarts actively supported the new lieutenant governor, Edmund Fanning, in his year-long struggle to wrest control of the Island government from Patterson, and in 1789 Jack Stewart personally argued his father’s case for restoration to office before the Privy Council. The subsequent decision in London to reinstate Stewart merely confirmed an action which Fanning had taken on his own initiative in June 1789. Soon afterwards, in a last gasp of the old factional warfare of the 1780s, a pro-Patterson group of merchant proprietors (led by John Cambridge*, William Bowley, and John Hill*), insisting that they were being persecuted by the vengeful Stewart clan, brought a series of complaints against Fanning and his leading officers before the Privy Council in 1791. The charges against Stewart – of using his office for political purposes by perverting law in his judgements, of disregarding and refusing evidence, of condoning the malpractice of Aplin (now attorney general), of misdirecting and influencing juries – were not always well documented. But the complainants had a far better case against Stewart than against the other officers, and they might have had more success with the chief justice had they not alleged a conspiracy they could not prove. Thus, only three years after his reinstatement, Stewart was saved by, the excesses of his opponents. With Fanning, Aplin, and son-in-law William Townshend, the chief justice was exonerated by the Privy Council in 1792. He had once again managed to survive. Despite his exoneration and an increasingly close political alliance with Fanning in the 1790s, Stewart continued to come under considerable criticism for judicial partiality. The fact that one son (Charles) was clerk of the Supreme Court, and another (Jack) its most frequent customer either as plaintiff or defendant, clearly made the chief justice vulnerable. What eventually brought his resignation, however, was a lengthy legal struggle with James William Montgomery. The issue was Stewart’s lease of 1,000 acres on Lot 34, for which he had never paid any rental. 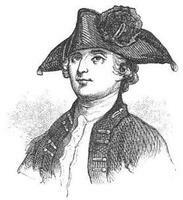 James Douglas, Montgomery’s agent, took Stewart to court in 1797, but complained he could get no justice. Although Montgomery was prepared to compromise, he was enraged when Stewart sued him in the Court of Chancery in 1798 on the basis of uncorroborated statements and half-truths about the initial agreement and subsequent negotiations with Montgomery. The Montgomery–Stewart dispute got entangled with larger political issues on the Island, including the escheat movement (which the Stewarts, with an eye to personal gain, were supporting), the dismissal of Attorney General Aplin, the attacks on Captain John MacDonald of Glenaladale, and the shuffling of Aplin’s replacement John Wentworth out of his post after only a few months in office. Montgomery, who for some years had been Scotland’s chief legal officer, was not to be out-manœuvered by a colonial judge. In 1801 he wrote Fanning that the chief justice “most likely thinks his power and Influence will prevent any Decree being recovered against him, and that he will tire me out, and make me drop my Action.” Insisting “this is not a good Idea in a Chief Justice,” Montgomery threatened to bring the proceedings to England, where “they will exhibit a Picture, if the same System is continued, that never before Appeared in any English Judicature.” But Stewart had been induced the previous year to step down as chief justice before his activities led to yet another Whitehall investigation of the Fanning administration. He remained a member of the Council until his death in Charlottetown in 1805. He was survived by a large family of sons and sons-in-law who continued to dominate Island politics for a generation. Whatever his achievements as a judge, Stewart had founded a political dynasty. PAC, MG 11, [CO 226] Prince Edward Island A, 17: 427; MG 23, E12 (transcripts; photocopies at PAPEI). PANS, MG 1, 793, Joseph Aplin to Jonathan Steams, 14 May 1788. PAPEI, Acc. 2541, Natural Hist. Soc. for P.E.I., item 79; Acc. 2702, Smith–Alley coll., “Minutes of the proceedings of the proprietors of St. John’s Island, June 17, 1790–January 27, 1791.” PRO, BT 6/102 (copy at PAPEI); CO 226/1: 180–83, 185; 226/7: 75–78, 219–23; 226/8: 71–83, 161–77; 226/9: 71–73; CO 229/1: 180–83, 185. SRO, GD293/2/17/12; 293/2/78/32–34, 45–46, 48, 52a, 59–60, 65–66; 293/2/79/46. Thomas Curtis, “Voyage of Thos. Curtis,” Journeys to the Island of St. John or Prince Edward Island, 1775–1832., ed. D. C. Harvey (Toronto, 1955). G.B., Privy Council, Report of the right honourable the lords of the committee of his majesty’s most honourable Privy Council, of certain complaints against Lieutenant Governor Fanning, and other officers of his majesty’s government in the Island of St. John ([London, 1792]); Hist. mss Commission, The manuscripts of the Earl of Dartmouth (3v., London, 1887–96), 2: 605–6. Hew Scott et al., Fasti ecclesiæ scoticanæ: the succession of ministers in the Church of Scotland from the Reformation (new ed., 9v. to date, Edinburgh, 1915– ), 4: 52. A. B. Warburton, A history of Prince Edward Island from its discovery in 1534 until the departure of Lieutenant-Governor Ready in A.D. 1831 (Saint John, N.B., 1923), 419, 421. Bumsted, “Sir James Montgomery and P.E.I.,” Acadiensis (Fredericton), 7, no.2: 76–102. J. M. Bumsted, “STEWART, PETER,” in Dictionary of Canadian Biography, vol. 5, University of Toronto/Université Laval, 2003–, accessed April 24, 2019, http://www.biographi.ca/en/bio/stewart_peter_5E.html.